2017 Oset 24.0R Jr. Picture credits - Oset. Submit more pictures. 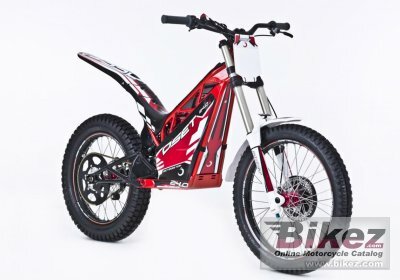 OSET debuted the 24.0 concept bike at the UK Dirt Bike Show at the end of 2014. From that time forward the 24.0 has been developed into the incredible 2017 production models. A powerful new OSET motor, controller and battery have been designed to work in unison on this machine. Very few components are shared with other OSETs. This was truly a ground up design that takes OSET into new territory and new heights. Comments: 1 x OSET 20Ah, 48V Lithium battery. Intended for children. Rider weight limit 61 kg. Ask questions Join the 17 Oset 24.0R Jr discussion group or the general Oset discussion group. Get a list of related motorbikes before you buy this Oset. Inspect technical data. Look at photos. Read the riders' comments at the bike's discussion group. And check out the moped's reliability, repair costs, etc. Show any 2017 Oset 24.0R Jr for sale on our Bikez.biz Motorcycle Classifieds. You can also sign up for e-mail notification when such mopeds are advertised in the future. And advertise your old MC for sale. Our efficient ads are free. You are also welcome to read and submit motorcycle reviews.